Here at the Hotel Ciputra Jakarta, we strive to exceed our guests every service expectation. So fittingly, our hotel facilities in Jakarta are first class. Your indulgence, personal wellbeing and peace of mind are ‘top of mind’. 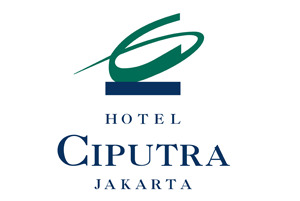 The full range of facilities and services at Hotel Ciputra Jakarta are a testimony to that! So ‘get it on’ in our well-equipped fitness centre or just take it easy in the spa and sauna, or partake of the traditional massage and the aromatherapy treatments we offer daily. And for those looking for a special memento to take home, we offer a stunning array of shopping options right at our doorstep. Just steps away, Mall Ciputra Jakarta is one of Jakarta’s most comprehensive shopping malls with over 250 exclusive retail outlets, restaurants, supermarket, cinema, banks, ATMs and much, much more awaiting your discovery. Plan your long weekend escape and stay at Hotel Ciputra Jakarta. Enjoy breakfast at the Gallery Restaurant for 2 (two) persons and light up your weekend with free access to swimming pool, fitness center and Sauna (excluded massage) as well as various discounts from selected shop at Mall Ciputra Jakarta. Both adults and children are most welcome here. 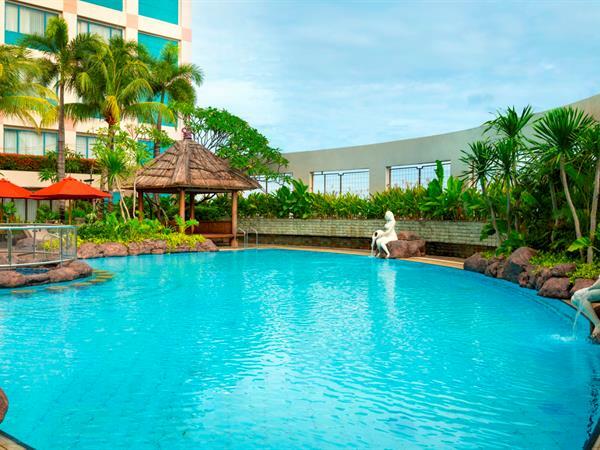 You’re encouraged to enjoy the pool and tranquil surrounds to the fullest. So, please do your aqua exercise, take a long leisurely swim, or simply lounge by the poolside with your favourite drink …….. It’s all yours to enjoy!